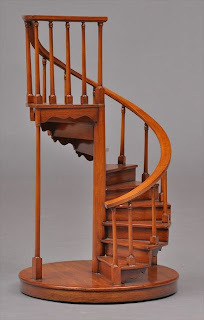 I have been trawling the latest on-line auction catalogues and some very chic offerings caught my eye! Architect's models are wonderful sculpture. They look fabulous sitting on a table or shelf in any decor. 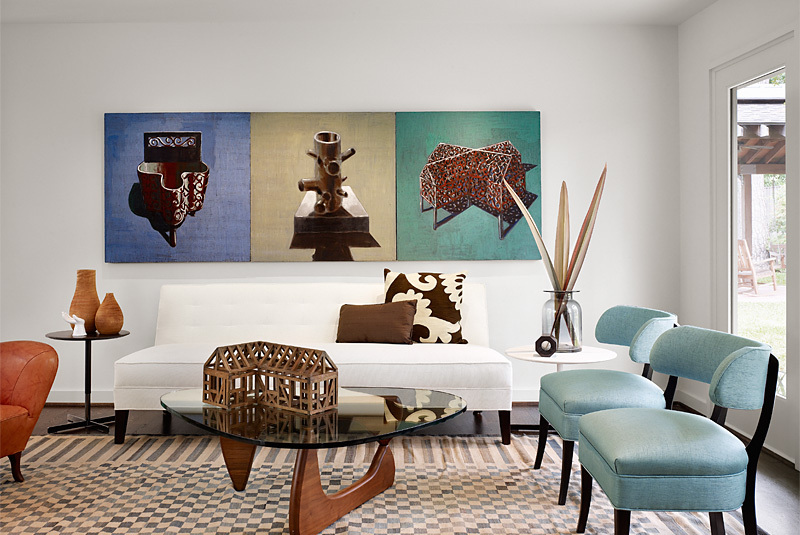 Bill Blass's apartment had several, and who had better style than Bill Blass. I happened on this example of an architect's model sitting on a coffee table on the blog 'desire to inspire' from the portfolio of the Texas based architect's, Dillon Kyle Architecture. 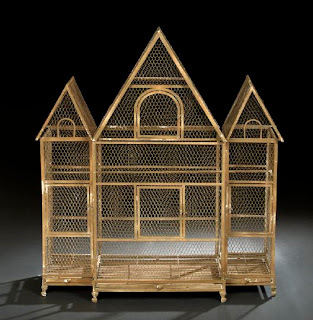 In this entry a Palladian style birdcage takes pride of place in the apartment of designer William Sawaya. This terrific example is included in the Stair Galleries auction of Dominick Dunne's properties to be held on November 20th. It 24" tall and has an auction estimate of $200 - $300. 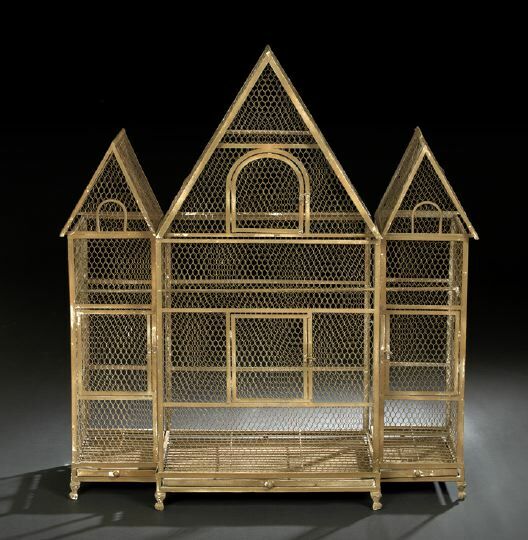 This is actually a Victorian style birdcage, but it does the trick as an architectural model. This is included in the next St. Charles Gallery auction in new Orleans being held November 20th and 21st. It's made of metal and wire and is 49.5" tall with an auction estimate of $300 - $500. I see this on a console table with candles in it, lit at night for romantic architectural mood! These are my favorites! The Italian loggia model is tres chic. This is included in the New Orleans auction. This is Lot 525, 9.5" tall and has an estimate of $150 - $250. 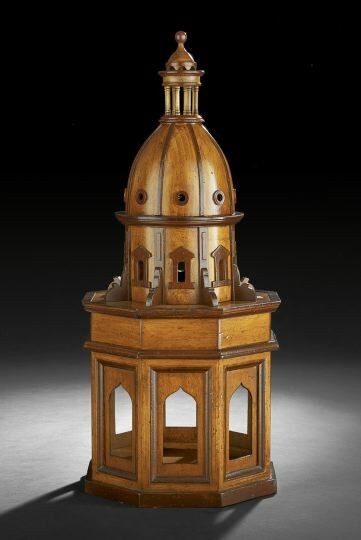 The chapel model is Lot 522, 24.5" tall and has an estimate of $250 - $400. In this case the Eiffel Tower is a wonderful focal point on the mantel in this living room designed by Christine Gillespie. 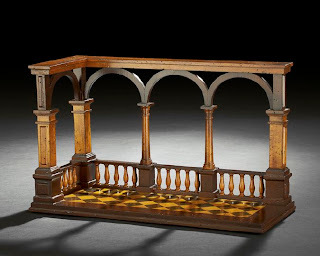 While I look for things to buy at auction, maybe you might just bring back a souvenir from your next trip! 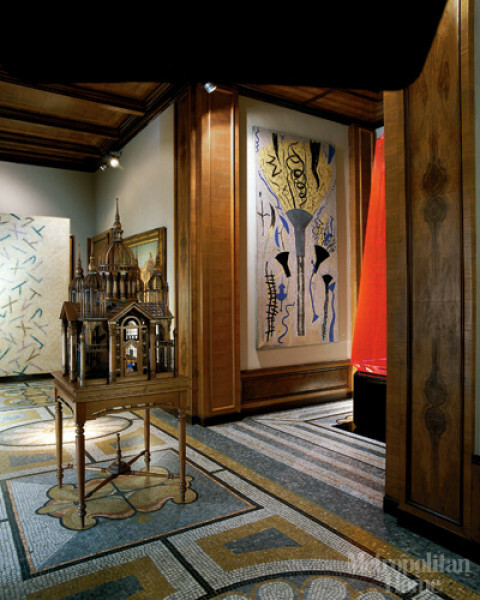 If you have a small apartment or house imagine adding architecture on a table top!